He’s the man responsible for making Giorgio Armani a household name in Los Angeles, but Tommy Perse isn’t the kind of man who needs thanks for his good deeds. At least not the verbal kind. “[Giorgio] doesn’t say, ‘Thank you Tommy.’ He acknowledges me by taking me by the shoulder, pushing me away, and looking at me. He wants to see what I have on.”Perse is blasé about this, but with reason. 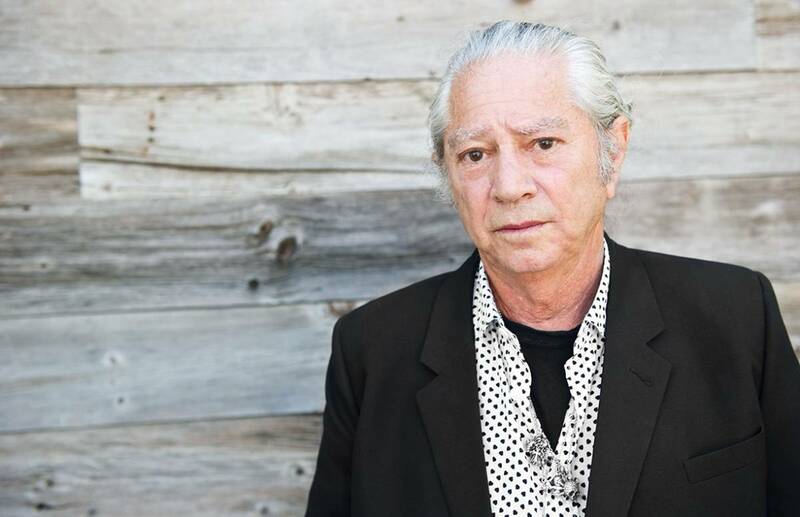 He is the man responsible for changing the City of Angels’ fashion landscape: he was the first Los Angeles retailer to embrace the color black, and the first to pioneer brands such as Comme des Garçons and Yohji Yamamoto, among others. He is perfectly secure in who he is, what he likes, and what he’s done, especially given that he never intended to have a passion for fashion—or to make a career of it. His modest start then led to the inception of Maxfield Bleu, which Perse refers to as “a real big learning curve.” Wearing tweed pants in the sultry southern California summer and Corkys thong sandals with socks in the winter were not standard looks for most, but they worked to his advantage, and gave him a unique fashion identity. “I was buying little tweed pants, and they were cool, but not very practical for summer season in Los Angeles, and they didn’t fit,” Perse recalls, adding that his unseasonal dressing had a surprising result. “Without realizing it, I had brought this kind of attitude and look and clothing into the store. The idea of this particular individual look—a look that was not typical California—ended up working to our benefit. It was impractical, but it attracted attention and gave us an identity. People thought that we had good taste.” Orange might be the new black now, but it was Perse’s pioneering love of noir couture in the vibrantly hued fashion landscape of Los Angeles that furthered this popular opinion. “I had this idea that you couldn’t find a nice black toothbrush or a black blanket when you wanted it: essential things that were nice, and on top of that, black. I did these mailers called ‘black mail.’ They were fold-out poster-sized photos of all these black objects: black clocks, black hairbrushes, and black nail brushes.” Thus was the beginning of Perse’s luxury concept boutique, Maxfield, a shop that carries items of curated cool: a cherry-picked selection of luxury labels from the likes of Rick Owens, Balmain, Libertine and Celine, signed first-edition books, vintage Hermès timepieces, and even real human skulls. It is fitting that Perse’s boutiques as well as his designer furniture shop, Maxfield Gallery, are named after painter Maxfield Parrish, as these menageries are—in equal parts—art, fashion, fantasy, and reality. It is also a store that carries his personal favorite brands, like Azzedine Alaïa and Saint Laurent, the latter of which he is currently wearing.“Hedi Slimane is Saint Laurent,” Perse declares, referring to the French fashion house’s current creative director. “He was Dior before, immediately changing a big slice of men’s fashion and somehow dissipated for whatever reason and years later comes back with complete autonomy with Saint Laurent. I am addicted. I believe it in; I love it.” Perse particularly loves that, under Slimane’s direction, the brand is sleek and opulent without being gaudy. “What’s great about my jacket is that it’s great—not because it has a label on it,” he says. Other brands Perse champions include the Japanese label Comme des Garçons—he refers to founder and designer Rei Kawakubo as “the Frank Lloyd Wright of her generation”—and the luxe gothic label Chrome Hearts. He refers to Richard Stark, the brand’s founder, as “the center of my universe,” adding dramatically, “If you want to see a phenomenon—the splitting of the red sea—that’s Richard. It’s a phenomenon that can’t be believed. We share a lot of stuff together. 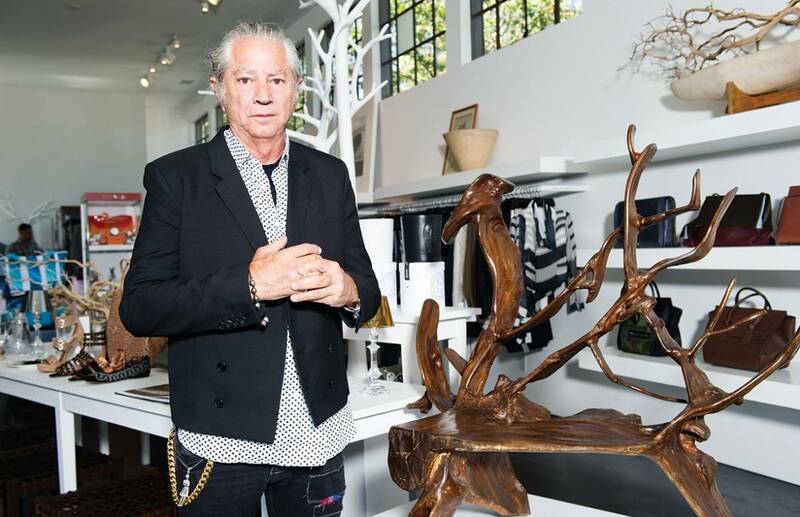 He’s not just interested in fashion, but in jewelry, furniture, and clothing. He’s into a lot of different things which take a lot of time and effort and experimentation.” The same can be said for Perse, who stepped out of his comfort zone to open a second store by the beach in 2009. Given his career history and his affinity for black, Malibu wasn’t the most obvious choice for a retail location. Thanks to its eclectic mix of rocker garb, beachwear, vintage pieces and carefully curated items from the likes of Elizabeth Weinstock, Jillian Dempsey and Generic Youth, Maxfield Malibu has become every bit as successful as Perse’s West Hollywood flagship. It is a place beloved by fashionable celebrities like Adam Levine and Patrick Dempsey, who enjoy unassuming, uninterrupted shopping trips in a paparazzi -free environment. The store is a success, and Perse isn’t shy about giving his son most of the credit for its creation.